How reminiscent of those primitive fertility goddesses, those original representation of womanhood that ooze vitality and fertility. MMG's works in bronze or resin do not – as Art often has since the dawn of time – attempt to represent the ideal woman. They explore form, the relationship of form in space, and through that, the place of the self in the awesome vastness of the universe. Les femmes qui lisent sont dangeureuses In this, MMG is certainly continuing the tradition of French sculpture. She could apply to her own sculptures what Aristide Maillol said of his own : « For me, a sculpture must have at least four facets I search for architecture, corporal volumes. All sculpture is architecture, a balance of mass and harmonious composition ». 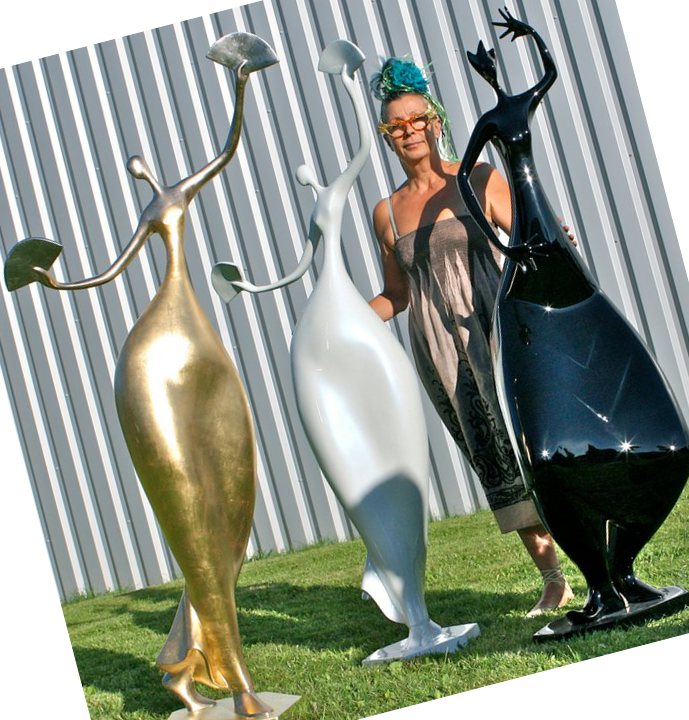 Marie-Madeleine's sculptures are comfortable with that. They are designed and constructed – anatomical structures that reflect the basic principles of today's architecture : stillness and motion, density and buoyancy, contrasts and harmony. Everything in her approach, despite superficial appearances emphasizes balance and presents a very personal harmony of proportion, with undoubtedly a hint of that inimitable French Savoir-Vivre. Light, dancing off the surface of MMG's sculptures, reflects the balance of these meticulous structures and reveals the carefully crafted poise of her visual compositions.